Six delectable 8 oz. 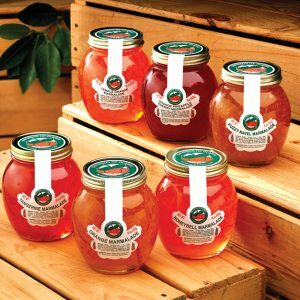 marmalades to start each day with a different delicious flavor on your morning toast. Get our traditional Orange Honeybell, and Tangerine Marmalades, plus fruity Orange-Pineapple-Cherry Marmalade, Temple Orange Marmalade and our unique Fuzzy Navel Marmalade. Navels and Grapefruit together have been a tasty tradition for decades. Full of flavor, this popular combination will please everyone on your list. Such a versatile gift! Both fruits can be served sliced or sectioned. And, of course, Grapefruit halves are a juicy, low calorie classic. Healthy?and delicious. 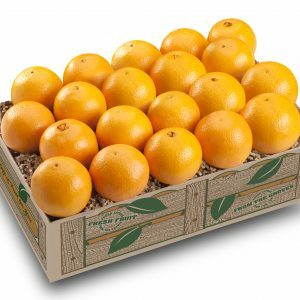 Navel Oranges are sweet and nearly seedless… a wholesome holiday gift that will please everyone. They’re the perfect treat to start the day, perk up an afternoon snack or to garnish a gourmet meal. 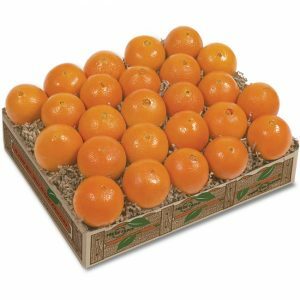 Remember someone special with a wonderful gift of Navel Oranges. 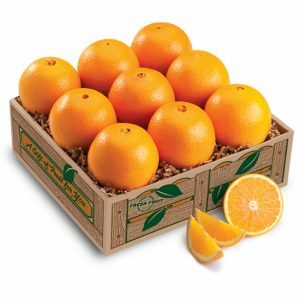 A sampling of sweet, nearly seedless Navel Oranges, fresh from the grove to you. Especially for the orange-lovers on your list. 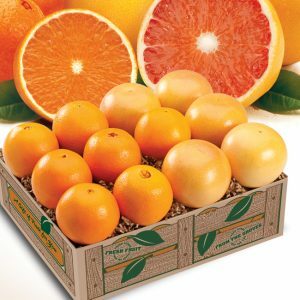 Four distinctive flavors, each a perfect specimen of what we grow best – Navel Oranges, Scarlet Navels, easy-to-peel Tangerines and sweet Mandarin Oranges. All in one easy-to-give gift. 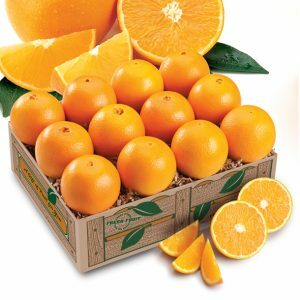 They’re a mini version of their bigger brother, the Navel Orange. 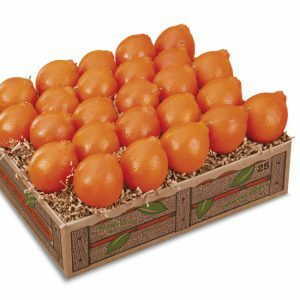 Petite Sweet Navels are incredibly juicy, nearly seedless and absolutely delicious. What a delightful holiday gift! Many say our Petite Sweet Honeybell is the sweetest and juiciest of all! Smaller than our Premium Honeybells, they’re still packed with plenty of flavor. 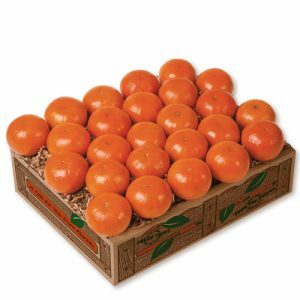 Just like Honeybells, they’re in season in January, so order early. Celebrate the holidays with our little red jewels. 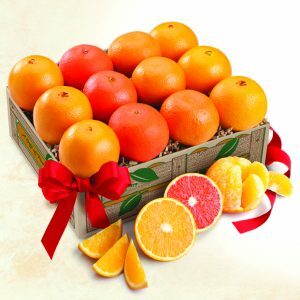 Navel Oranges with the color of Christmas inside, gold on the outside, crimson-red inside, a gift of our Petite Scarlets will become a Christmas tradition!